Taxi booking apps have paved the easy way for peoples on local commutation. 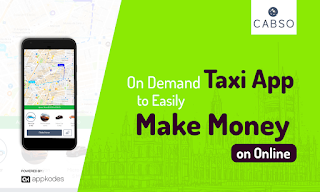 It is automated in its purpose and whenever a person is in need for a taxi he/she just need to take out the smartphone open the app for taxi booking and can book for rides on their preferred type of vehicle instantly. It has completely eradicated the need to wait on the roadside to avail a taxi for passengers. And for drivers, they no more need to demand to the passengers for availing a ride in their vehicle. Every day more or less many will need a taxi and drivers on all days will wait for ride offers for their earnings. So this business can continuously generate good revenue. 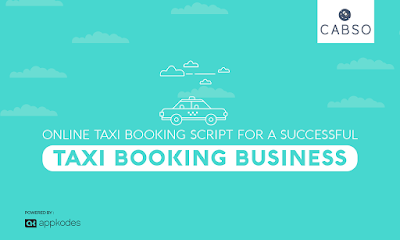 So build your own taxi booking platform using Appkodes vehicle booking app script and earn big from it. Peoples at all time won't require a taxi, but when they need they will look for their most comfortable one. So on that aspect, Appkodes app for taxi booking business is a taxi hailing app where users can pick their preferred vehicle from multi-variant available type, according to their comfort and need. Some may love to schedule their plans and in the same way will plan for scheduling a taxi at their preferred time. So for those, this script has got the ride now/ride later feature. Where they can schedule for a later ride. And for making payments all may not carry cash with them. So this script has got multiple payment options like wallet options, payment through credit/debit cards, online payment gateway. While booking a ride each time users won't prefer to manually enter their present location instead will expect to track their location on GPS. So it has an auto location feature. And booking the rides this features will help to track the ride vehicle in real time. Before confirming for booking the ride users can know about the fare for the rides with fare estimation feature. And if users want to travel to the same location they booked for the previous ride then they can look at their ride history page and can effortlessly book their rides. Users can look at the complete history of all their previous availed rides there on that page. And also this script has social media API for easy signup and login and invites for earning credits from every successful referral. Earning reports and ride history to know their earnings from each ride. Internal document submission feature to easily submit the documents for admin verification. In case of emergency for contacts, it has got an emergency/SOS contact enrollment feature on both the driver and end-user side. 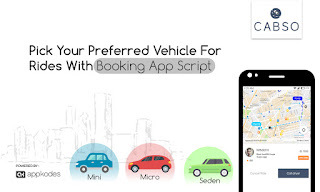 Appkodes vehicle booking app script- Cabso is enriched with all requisite features to rightly meet the needs of users and it generates good revenue through the commission set up. Cabso can also be endlessly customized to mold the app as per your wish and requirements. 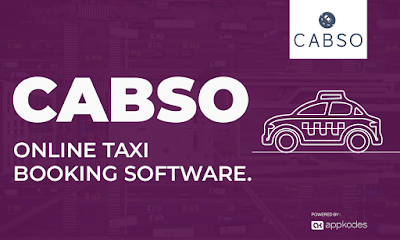 So avail Cabso and get your taxi booking business live on the web, ios and android platforms in minutes. Every online app is being designed and developed to fulfill the demands of anyone online community. In that case, the hassles of availing a taxi for peoples gave a good business idea, Which brought the online taxi booking system. Ever since it entered online it is greatly helping two needful communities. One is, it has completely eradicated the end users hassles and discomfort on availing a taxi and the other is taxi drivers who are getting frequent ride offers by taking part in the system. Though giants are taking leap and bounds in this business still the demand prevails. So make use of Appkodes’s on-demand taxi app and start your business instantly, meet those demands and earn handsomely. Usually, all readily available scripts will be developed using reliable PHP codes. 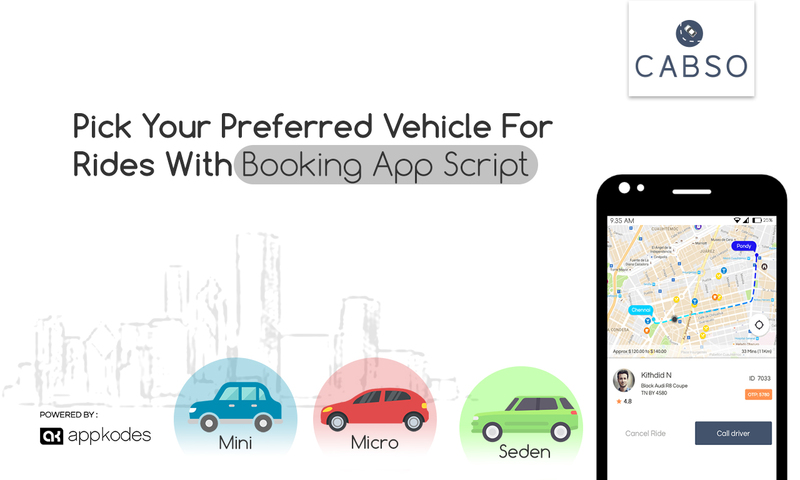 But Appkodes’s script for online taxi booking business is developed unconventionally using MEAN stack (MongoDB, Express.js, Angularjs, Node.js) technology. Online taxi booking is greatly connecting and benefitting users on both ends. So many entrepreneurs are craving to start an online taxi booking business. This business idea has swiftly transformed into a successful one with good and reliable revenue generation option. So in your quest for immediately starting an online taxi booking business, you can avail the readily available online taxi booking software. Why taxi bookings apps are most preferred by its users? As said before taxi booking apps provide a win-win situation for all involved in it. For end users, it is providing a hassle-free local commutation just by booking their rides through online.For drivers, they no more need to demand guests to take a ride in their taxi.For admin, it provides a stress-free business with reliable revenue generation. Availing rides on a public taxi are in high demand, if not in small cities but surely in metropolitan cities. Brands like Uber and Lyft etc saw the rising demand and have built their own, perfect platform for online taxi bookings. Which has made the public commutation easy for its end users and the drivers on it are easily getting passengers, without demanding for rides? Now you too can easily own an equal benefiting taxibooking business as same as Uber with an online taxi booking script. Usually, all clone scripts are developed on a PHP platform, because it is one reliable platform with well-known characteristics for developers. Get your hands on business with a script, that is developed with a cutting-edge technology and the technology that is going to be at helm sooner in the market. So your taxi booking business app, when it is developed with a MEAN stack technology, then your brand for business will be the one latest thing in the market.